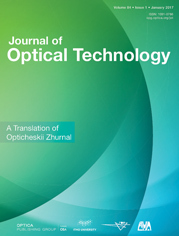 This paper describes a laser system that provides dual-pulse bispectral excitation of a laser plasma in an extreme-UV source for nanolithography in this spectral region. The radiation converter is based on a low-power YAG:Nd laser and a powerful CO2 laser. A saturating signal is injected into the power stage of a CO2 amplifier by subnanosecond pulses at wavelength 9.2 μm from a stimulated-Raman-scattering amplifier pumped by the radiation of an optical parametric oscillator that uses the radiation of a YAG:Nd solid-state laser (the master oscillator). Mechanisms for high-efficiency conversion of laser radiation into the extreme-UV region (13.4 or 6.7 nm) were theoretically and experimentally studied. The laser system makes it possible to independently establish the optimum delay time between the pulses in order to increase the output of the extreme-UV radiation.